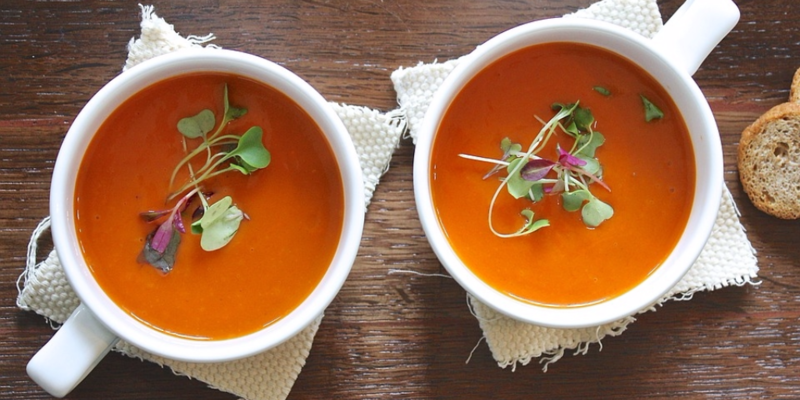 Quick and easy soups can be prepared in 20 minutes with a few easy steps. Be sure to cut up the vegetables into small pieces while cooking them in stock. Broccoli works well as a starter. Sauté onion & celery in olive oil and some butter for 8 minutes, add flour and cook for 5 minutes. Add cooked veggie & stock and simmer for 5 minutes. Purchase a hand blender that can be put into the stockpot and blend. You can also use a little lowfat milk to lighten & heighten this soup. Season with S & P.